This post is in partnership with Hallmark Channel. Any opinions and love for Christmas are 100% my own. 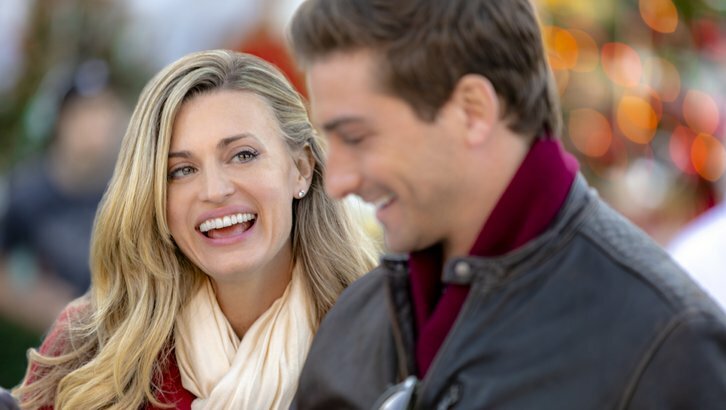 Hallmark Channel’s “Christmas in Love” Premiering this Sunday, Nov 11th at 8pm/7c! Did y’all catch the premiere of Marrying Father Christmas on Hallmark Movies & Mysteries channel last Sunday?! It was a beautiful story of love and family, and a great way to kick off the holiday movie season. 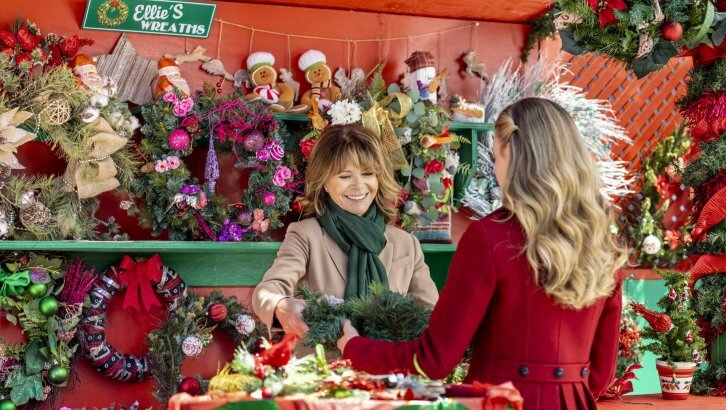 Don’t worry, if you missed it there are plenty more exciting new movies coming this Christmas on Hallmark Channel and Hallmark Movies & Mysteries, including Christmas in Love! One of the reasons I love holiday movies on the Hallmark Channel is that they remind us of the reasons for the seasons. Magical moments of love, family, togetherness, and giving. Too often we get caught up in finding the perfect gift, cooking the perfect meal, and decorating the perfect tree that we forget what really matters. Spending time with family and cherishing the memories we get to make each holiday season. Christmas in Love reminds us that simple is magical and kindness truly does go a long way. 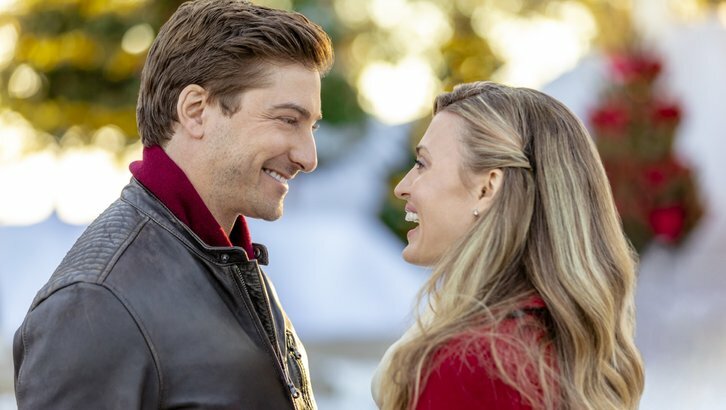 The film stars Brooke D’Orsay and Daniel Lissing and tells the story of Ellie Hartman, an aspiring crafter working in her small town’s bakery making famous Christmas Kringles. When the new, big-city CEO Nick Carlingson visits the bakery, he arrives filled with modernization ideas destined to lay off many employees. During his visit, Ellie teaches Nick how to make a Kringle, and is determined to show him it’s the people who make the business a success, not machines. Nick meets more of the employees and townspeople, visits the food bank and begins to see all the kindness that is shared, and he begins to soften, though not convinced automation isn’t better. Struggling with chasing her own entrepreneurial dreams, Ellie begins to fall for Nick but not before feeling betrayed when she inadvertently sees Nick’s laptop filled with automation plans. When Nick finally tells the employees his future ideas for the company, Ellie must decide if she should trust him, but more importantly, whether to take a leap of faith in making her own dreams come true. I’m a believer in making your own dreams come true and I’m hoping that is the outcome of Christmas in Love! 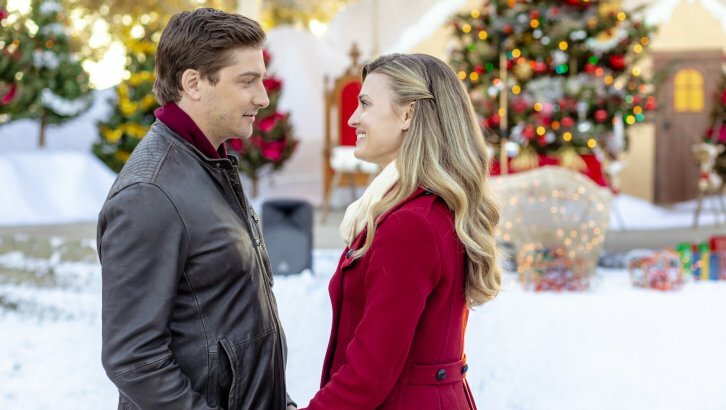 Christmas in Love is just one many holiday movies playing on Hallmark Channel this year. In fact, there are 22 new original holiday movies premiering throughout #CountdowntoChristmas for 2018. How awesome is that?! 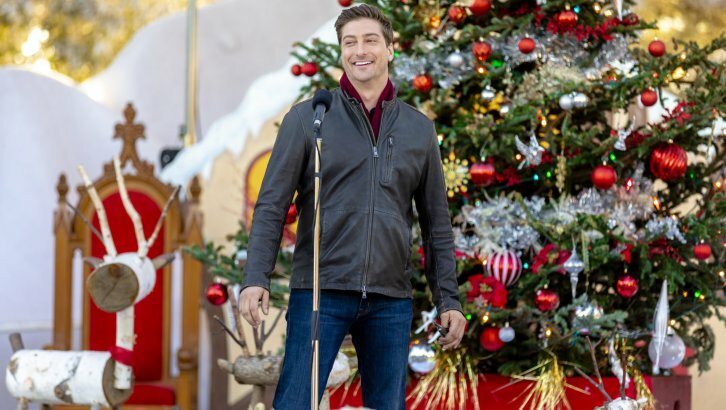 Even more awesome, you can enter the Cost Plus World Market Hallmark Channel Movie Sweepstakes for the chance to WIN a walk-on role in a Hallmark Channel Christmas movie. That would be SO much fun don’t you think?! With 37 new original movies coming to Hallmark Channel and Hallmark Movies & Mysteries this Christmas season, you won’t want to miss even one! Now you can use the new Hallmark Movie Checklist app to create reminders, watch trailers and stay up to date on all the exciting new movies! Don’t forget to tune into Hallmark Channel Radio on Sirius XM- Channel #70 to listen to timeless Christmas music and carols and visit HallmarkChannel.com to check out the full list of movies for the 2018 Christmas season! Thanks to Hallmark Channel one lucky reader is going to WIN Holiday Cheer Prize Pack! The holidays means family & friends coming together, eating great food, giving & receiving presents. Just be there for eachother.. i love holiday movies whether its on the big screen or small screen. I find it relaxing during the crazy holidays to watch these movies! The holidays mean good food and friends to me. Enjoying decorations and time together. Love all the programming from Hallmark channel and Hallmark movies and mysteries great family programming……Love all the Christmas movies they’re awesome…. Its relaxing during the holidays to watch movies, I like spending the holidays with family. To me, the holidays mean spending time with family, cooking and baking and relaxing and watching Hallmark holiday movies! The holidays mean spending time with family making memories that we can cherish. I love holiday movies. I love watching Hallmark Movies and enjoy their XM station!!! Holidays mean extra family time, including movie nights. Love my hallmark movies ! It wouldn’t be the Holidays without you all ! I love the feel-good fuzzies that Hallmark movies bring! Such wholesome goodness! It’s just not Christmas without Hallmark movies!! Watching Hallmark channel movies with my mom in law is a holiday tradition! the holidays mean getting to see family and friends and I love the holiday movies. i LOVE THE HOLIDAYS. iT IS A TIME TO BRING FAMILY TOGETHER AND CELEBRATE. i LOVE THE FESTIVE ATMOSPHERE, THE DELICIOUS FOOD, AND THE AMAZING FRIENDS AND FAMILY i LOVE YOUR MOVIES, AND WATCH THEM DAILY. REALLY GETS YOU INTO THE SPIRIT OF THE SEASON!! I like to watch holiday movies to get into the spirit of Christmas. The holidays mean seeing the excitement on my children’s faces. They make this time of year magical. I’m excited to watch holiday movies with my daughters. I love the holidays and seeing old friends and family. I love holiday movies and this looks like a good one. Holidays mean spending fun and quality time with family and friends. I’m excited about holiday movies. The holidays mean family and joy. I love the memories and I love getting extra time with my children. To me, the holidays mean spending quality time with family members that I don’t get to see that often, and making new memories together! Holidays to us is just like many other people here … a time to be with family and those you love. The gifts are mostly for the kids and to show each other how much we mean to each other. I love spending time with family. I love Hallmark to. Me and my sis in law bonded over a Hallmark movie 15 years ago. To me, the holidays mean family, friends, love, and peace. Christmas movies are my absolute favorite type of movies, I just love the feel-good feeling they give. The holidays mean more family time and with friends and spending joyous movie time together.